Last edited by beast3805; 23-06-10 at 23:54.
nice rig beast 3805 how much boost is it running having no intercooler and the gas setup that way. 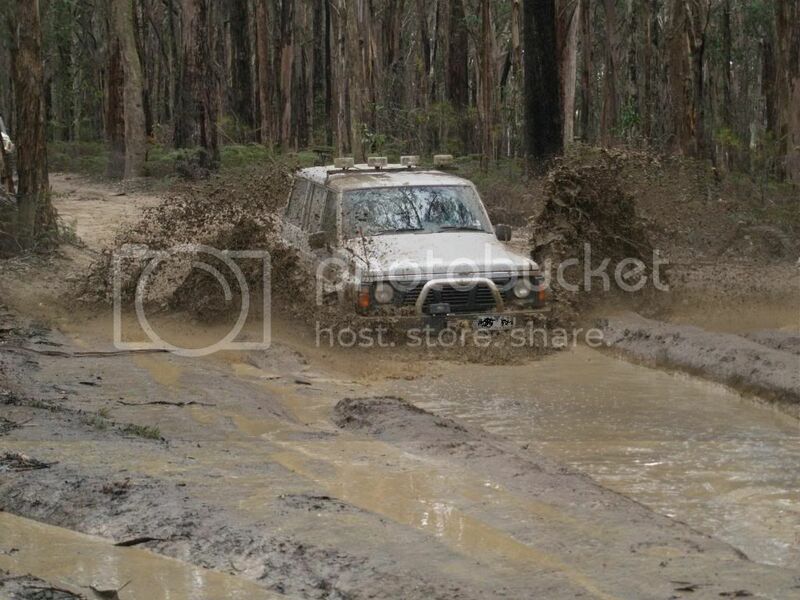 we need some mud bog shots in here gents. 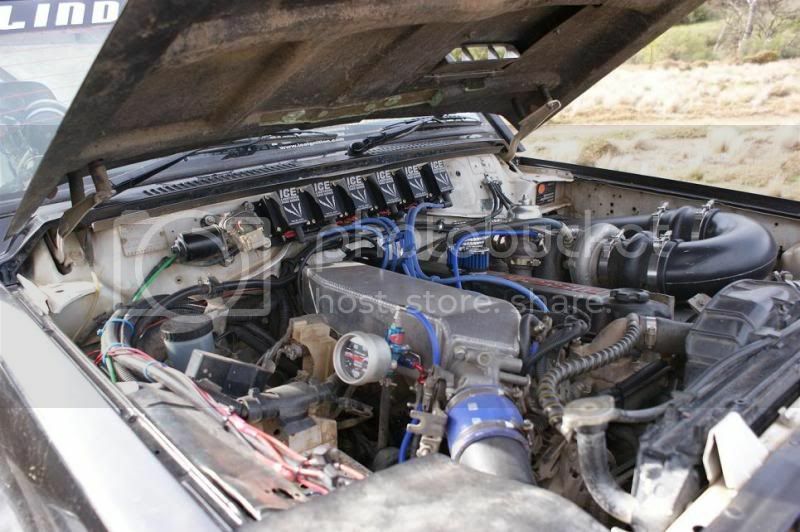 When i first hooked it all up it was boosting at 5.5psi, i T pieced into the waste gate line, and hooked up a volume canister (as seen in previous engine bay picture) made a suitable fitting on the end and drilled a small hole in the side of the fitting till i got the boost to where i wanted it, it spikes at 8psi under hard acceleration, then drops back to 7psi. Last edited by beast3805; 23-06-10 at 18:57.
love fourbiess!!! cant beat em! beast have you ever thought about a water to air intercooler such as a pwr barrel cooler or the vortech squarish looking ones. just would have thought something like that would be a better option than a air to air as the mud wouldnt be able to get in between the fins and block them up which would cause the turbo air temps to rise substantially if your running anything over 10psi. Last edited by meln4bugs; 23-06-10 at 22:40. 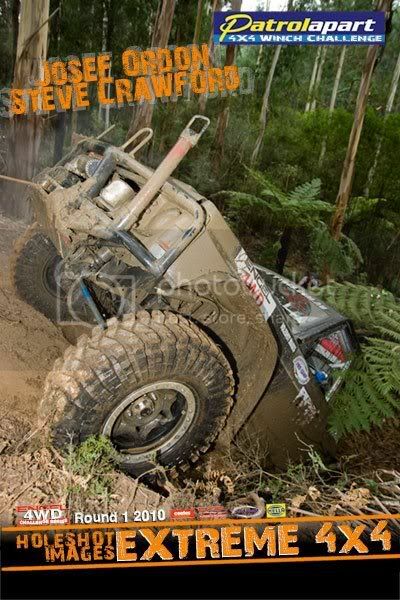 Dont know much about them mate, but i will look into it, im trying to avoid going through bog holes, im sorta over all that now, im more into the technical side like rock crawling/steep hill climbs etc they seem to give a bit more of a thrill. 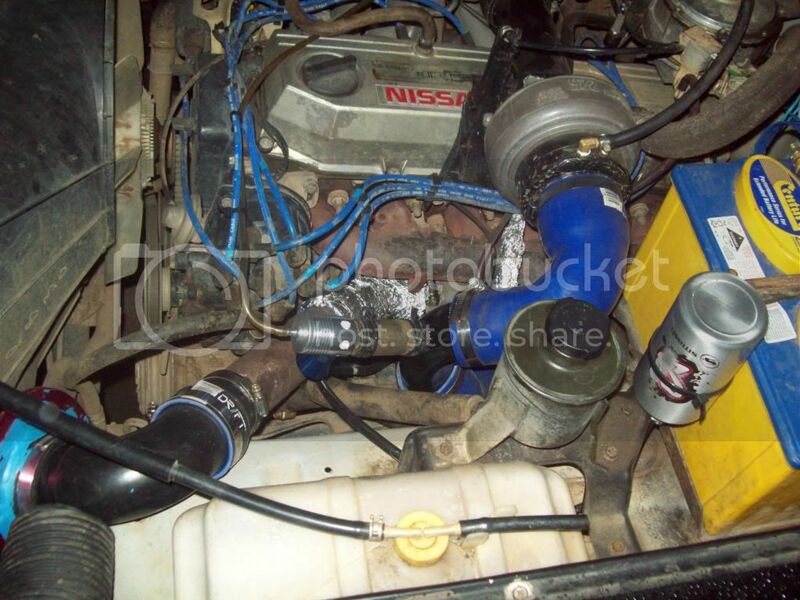 Yea im trying to keep boost under 10psi, i not chasing axle snapping power, but just a bit more of a spruce up for the underpowered rb30 powered patrol, with it running on 7-8psi boost it actually goes quite well. 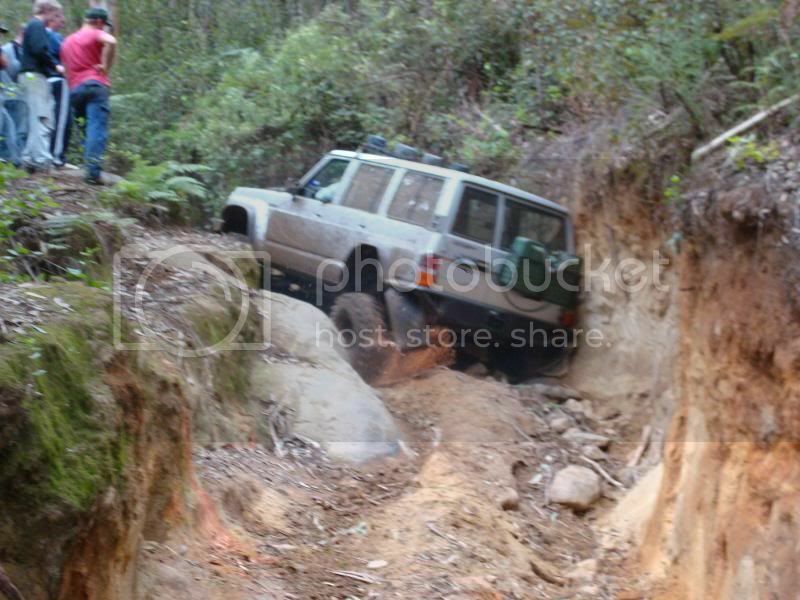 Perfect example of dodgy lift that makes the car look "tuff" but in reality just makes it a less capable, more dangerous 4WD. Yeah sometimes you just gota learn the hardway (as i did), it did have its good and bads at the time, but its quite capable the way its set up now and am leaving it at that. beast if thats the case your better off leaving it non intercooled and having a factory turbo crossover pipe as mud wouldnt get in then. 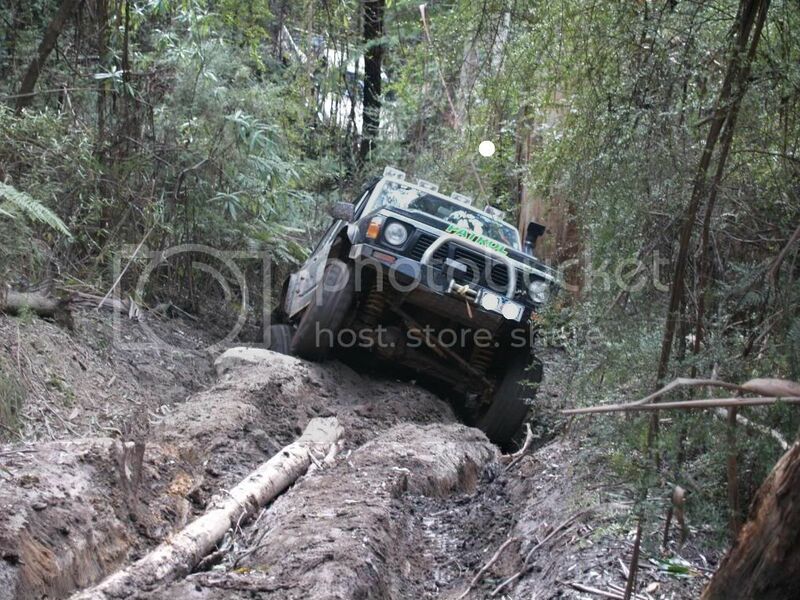 does thick mud or mega steep hills pull the engine down with only 7-8psi or it churns up them effortlessly. if no has there been anytime at all it has struggled in any terrain. 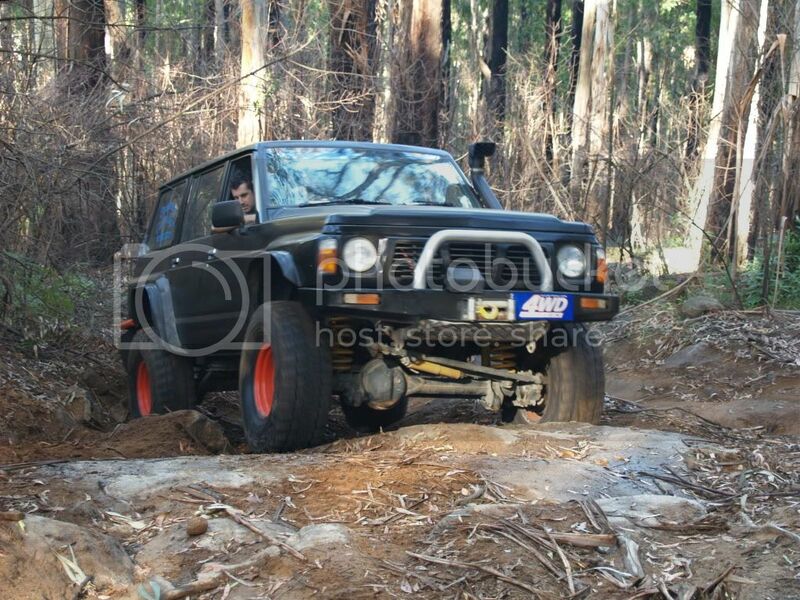 in your pics it looks like you have had a few different sets of tyres over the time you have had it. in your opinion what has been the best tyres you have used. Ok then what is your recommendation... 2 spring and 2 body with guard chop or what????? I did give it a slight off-road test on a steep muddy track nearby on Saturday, it turns effortlessly now, before it was always a prick on a steep hill with take off, I can take off in 2nd if i really wanted to now as i couldn't before. By far the best all round Tyre I've owned! Last edited by beast3805; 24-06-10 at 20:03.
yeah i have heard the silverstones are junk from somebody else as well. the maxxis i dont know of anybody thats used them that i know. 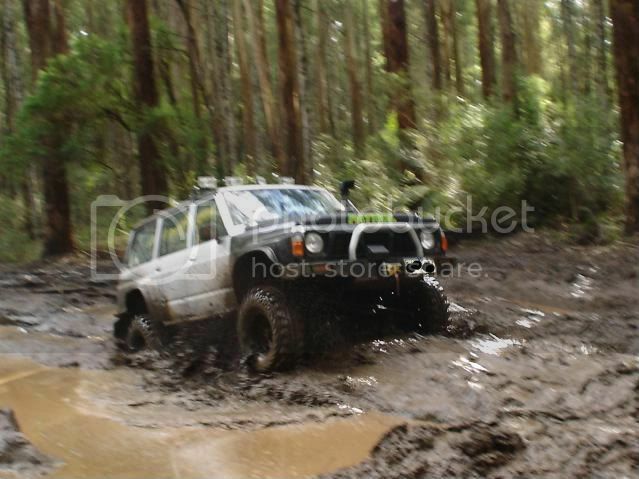 the guys with offroaders i know usually all have pedes or claws although i know my mate was going to try some goodyear mtrs next but i dont know what type i will pass on your feedback. 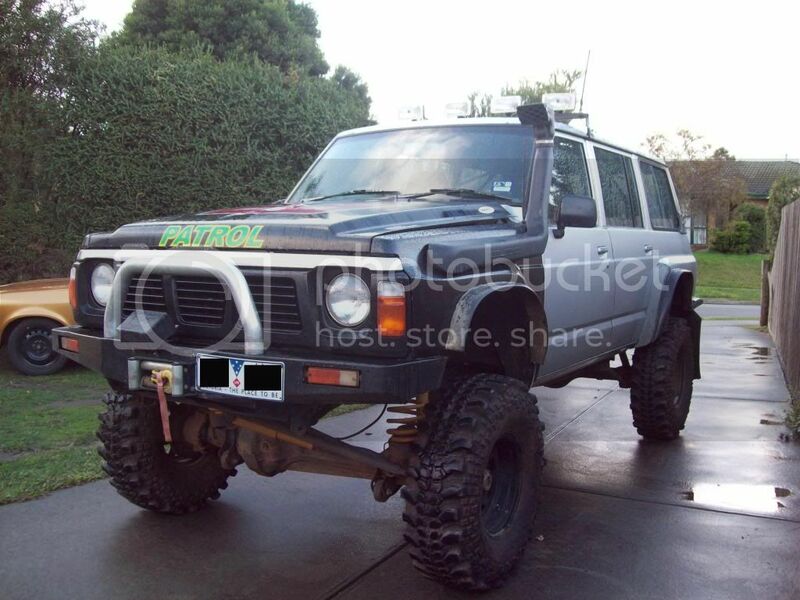 im thinking of getting a patrol myself and a rb30 patrol looks a viable and smart option for me as engine parts are cheap as chips and if alls it takes to get something with good off road power is as simple as a stock turbo conversion then it tempts me even more as everything is pretty much available on this forum. 4.2 would be nice but i presume it would be much more costlier to turbocharge compared to the 3ltr. 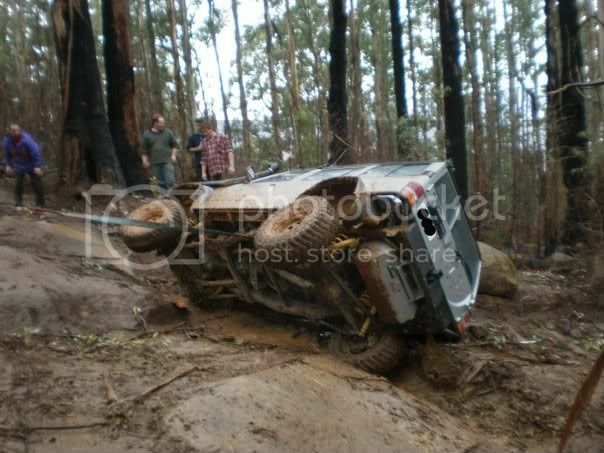 were those 37's on outerlimits, 4wdaction or something? Ye i highly recommend getting an rb30 patrol, there got so much potential and are a bloody tuff/reliable engine. They do run a different gearbox to the 4.2 patrols, there like a 300zx or something gearbox (if somewon can clarify that for me? ), just gotta be care-full running to much power through them as they will pop! Last edited by beast3805; 25-06-10 at 19:57.
yeh rb30 unit is what i will be chasing i think just so much more affordable for engine parts and hi performance bolt on items. 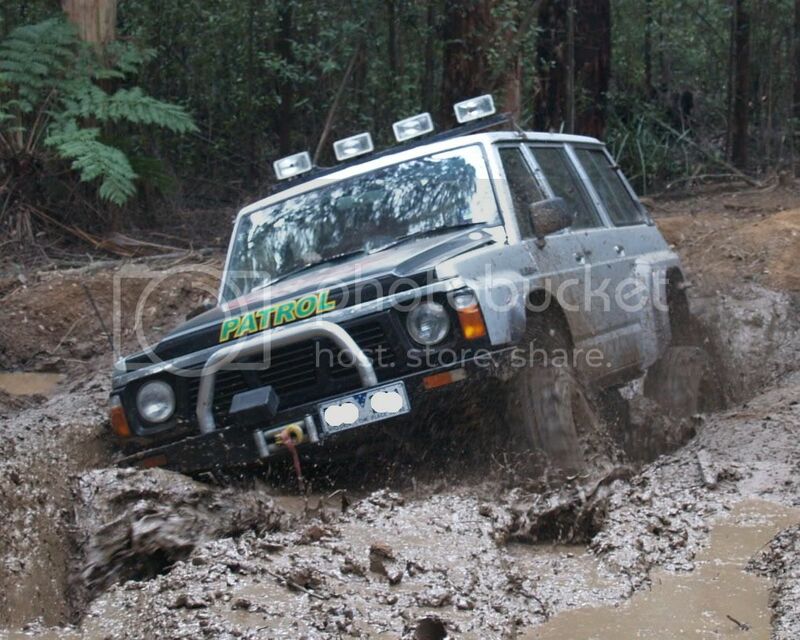 with your patrol when you had the 5 inch springs the 2 inch spacers and the 2 inch body lift was it a nightmare to drive on the street ?. i mean as in getting the sways at certain speeds or feeling like it was unstable going to tip on certain corners at any particular speed etc ? or do you have fully adjustable shocks where you set them extremely soft in the bush so they travel and then can stiffen them right up when on road to prevent any of the above mentioned from happening. i gather you have kept the 5 inch springs and the 2 inch body but have removed the spring spacers or is it still running them ? i will be sure to let my mate know about the mtrs with kevlar cheers. 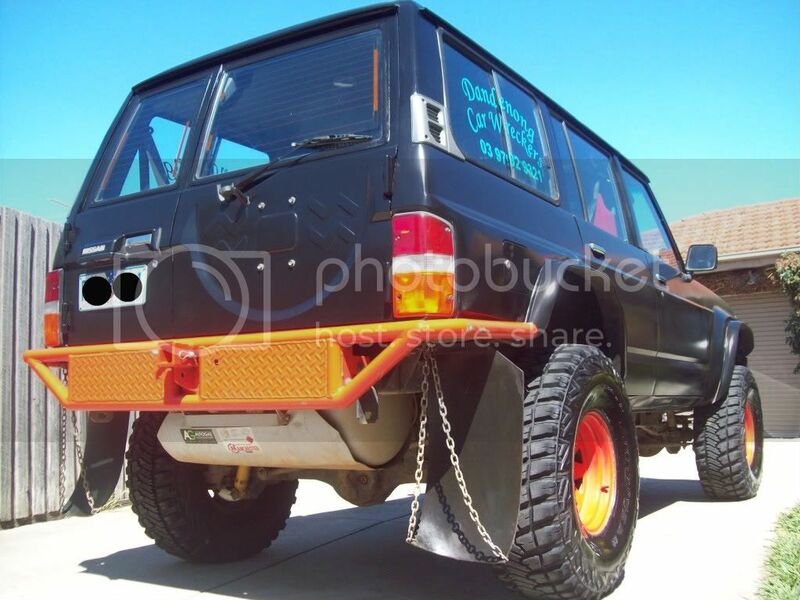 also what are yours or anybody elses thoughts on tsl boggers ? any good. 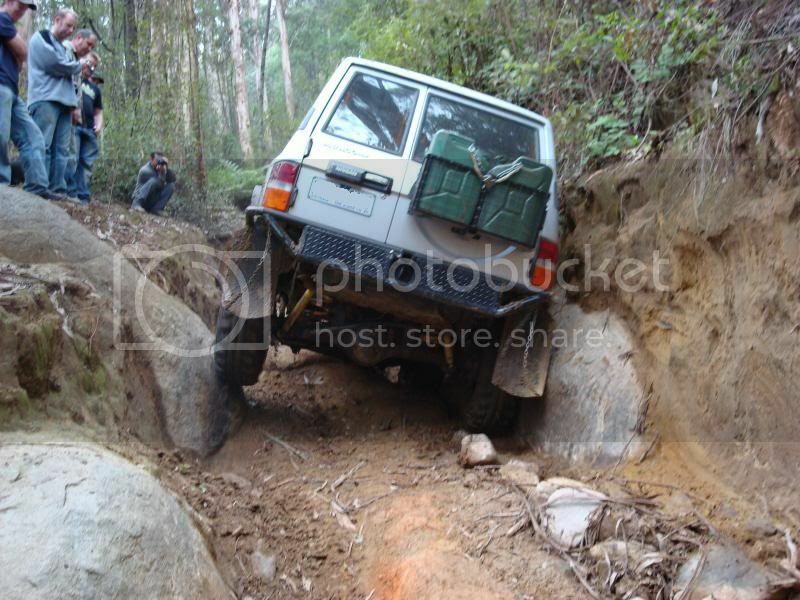 Hehe ye Warby, 1st time i did it(look back at the pic where you see the back of my car between 2 rocks, take note of the pan-hard rod if you can see it hehe" i got a small kiss on the rhr a pillar, then the 2nd time i did the track, i kissed the lhr A pillar so they match now haha!, back down the track before you get up to this part of the track, theres 3 bog holes, the middle 1 at the time had a hidden rock poking out, everyone (9 4x4's) that went through it pushed there Rhr quarters in haha! was a pissa! It was a bit top heavy (wasn't running sway-bars either but had heavy coils) it did sway a bit but that was due to a combination of not having enough +castor and the bias ply Mudzilla's i was running at the time, seemed a bit better when running the Silverstones, your gotta adjust your driving style to suit that sorta lift and also need to go wider in the vehicles track to compensate. if i really put it into a tight corner at low speed, i could lift the LHF wheel 1 to 2 feet off the ground and it actually held it quite well without feeling like rolling over. I don't know much about the Bogger's, haven't been 4bying with anyone that runs them, but i have done previous reading on the Tyre, they seem to be an awesome mud tyre, if not 1 of the best? but i wouldn't wanna be running them on the road to much....and they do seem rather expensive! Last edited by beast3805; 27-06-10 at 20:33.
ok where are all the tuff rb30 turbo patrol vids. somebody must have some footage to throw up. Thats crazy as mate, nice work! jesus sh*t bigears thats awesome. crackin gate through the scrub... i like it!